Process valves from SPX are all specially designed valves developed for various applications. Some applications include protection against over-pressure, vacuum or ensuring that the media does not run backwards. To keep a constant pressure, the free flow section at the valve seat is reduced or enlarged by the valve cone. If product safety is your top priority, you should use sampling valves DELTA PR2 from APV. These valves bacteriologically safe samples can be taken direct from the pipeline. The valve opens as soon as the pressure under the valve seat exceeds the counter pressure. The spring-loaded, full stroke safety valves DELTA SI 2 are approved for fluids and gases. 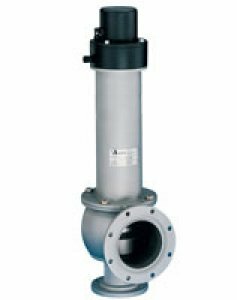 APV has specially developed the DELTA UF pressure relief valves to protect installations against excess pressure. The VPN valve is a 3A certified non-return valve which is used when backflow of the product in pipelines must be avoided. Vacuum valves DELTA VRA and DELTA VRAH are proving their reliability everywhere that requires vessel or tank protection against vacuum. Ball valves offer great economy and durability for a wide range of applications that do not require clean-in-place (CIP) service.